Conveniently located close to Leatherhead, historic Fetcham Park (Part of The Wilky Group) is Surrey’s ‘best-kept’ secret for dynamic local and international businesses in search of a prestigious location to call their own. In addition to modern serviced offices, private meeting and event facilities are available for hire. In recent years, Fetcham Park has welcomed high-profile companies such as Facebook, eBay and Exxon to the house for meetings and corporate away-days with a difference. As well as plentiful parking and the latest technology, delegates can relax in private, uninterrupted surroundings with six acres of landscaped grounds to enjoy during breaks. Meeting rooms at Fetcham Park are available to local businesses from £25 an hour (depending on room size). Fetcham Park has been a part of the local business community for 20 years. During this time, the House has witnessed the changing face of local and international business, and adapted to meet client needs and the economic climate. 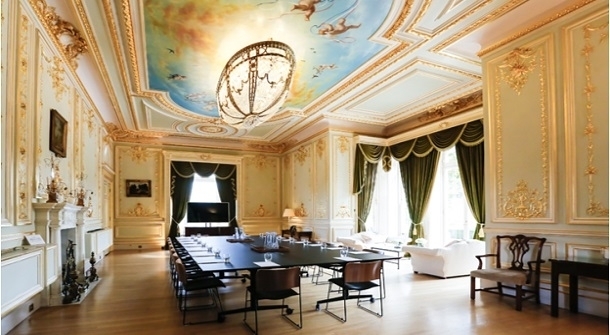 Looking beyond the latest technology and workplace trends that influence Fetcham Park’s long and short term plans for growth, the company has retained close ties with both Leatherhead and Surrey Chambers of Commerce, Mole Valley District Council, the CBI and RICS. Central to this is the long-time support of strategic Chamber initiatives with the aim of helping to promote local business and boost the economy, plus involvement with Local Enterprise Partnerships. Currently, the Leatherhead Chamber use the house as its base for administration communications, committee meetings, and a drop-in centre for one-to-one meetings. The Fetcham Park difference is so much more than bricks and mortar. To find out more visit www.fetchampark.co.uk or contact: hello@fetchampark.co.uk 01372 371 000.